After almost one year living in Amsterdam, we finally got our own bikes. They are used, but they are the bikes I wanted for a very nice price. 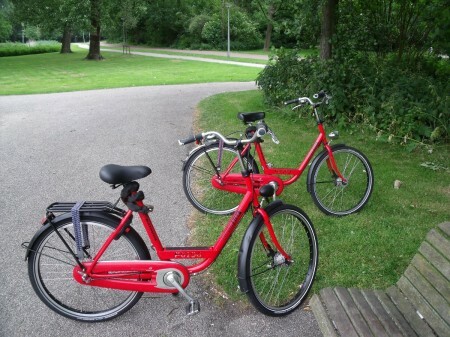 And we took them to the Rembrandtpark for our first ride together. I’m sure they we take us everywhere in Amsterdam! For a lot of joyful rides!